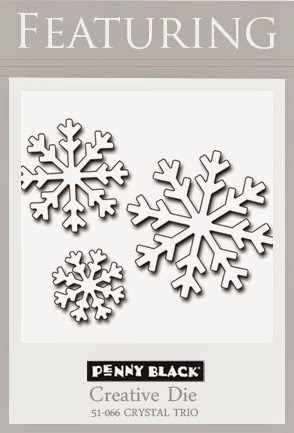 Today I am dressing one of the snowflakes from Crystal Trio in a soft, warm velvet hug. 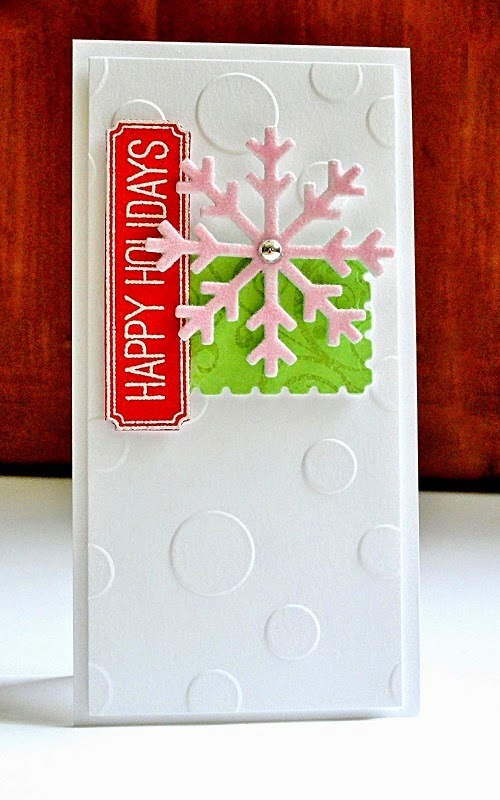 To create my hug, I placed a sheet of Scrapbook Adhesive on a piece of cardstock and then die cut a snowflake. After peeling away the backing, I was able to apply pink crushed velvet flock to the exposed sticky surface. 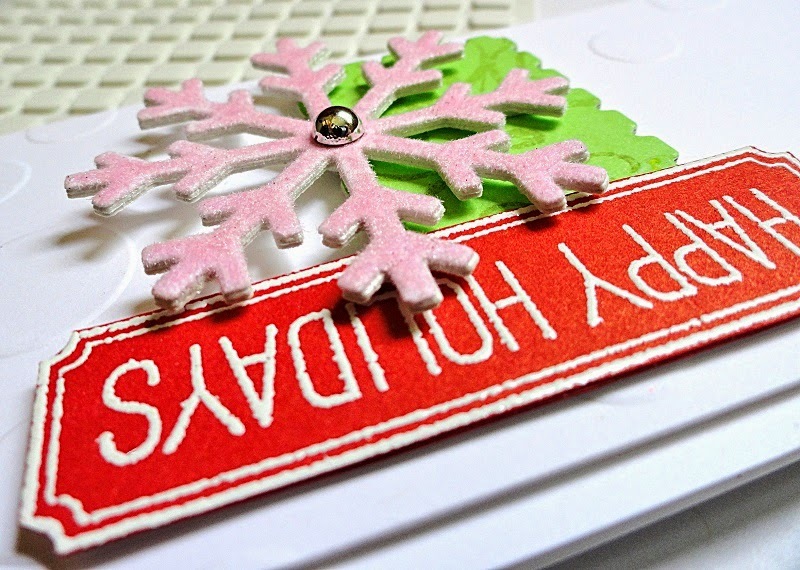 To give all the card elements a chipboard thickness, I die cut three scalloped rectangles (Picture This Creative Die) and stamped three banners (Joy Filled). 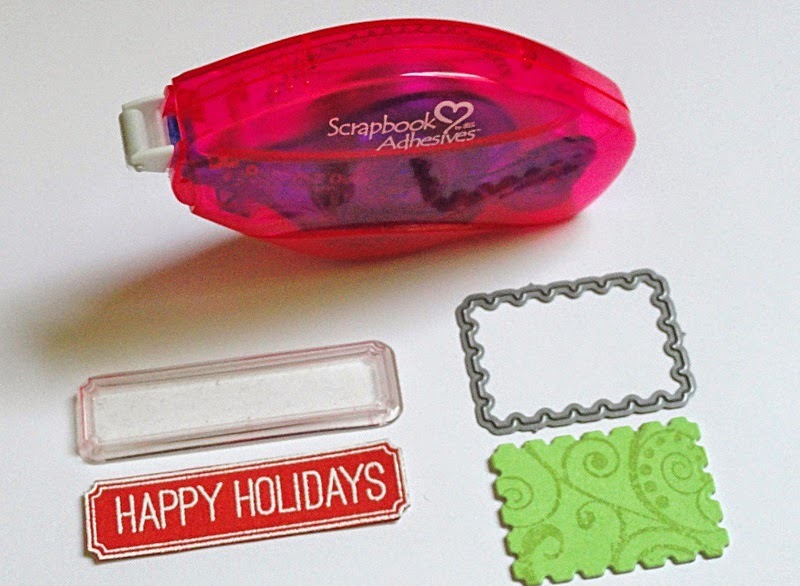 The top element from each design was finished with a sentiment (Joy Filled) and a flourish (Oh Christmas Tree) before the multiple layers were glued together with Permanent Scrapbook Adhesive. This probably goes without saying, but I LOVE DIMENSION! Here you can see how the elements were layered with E-Z Dots. 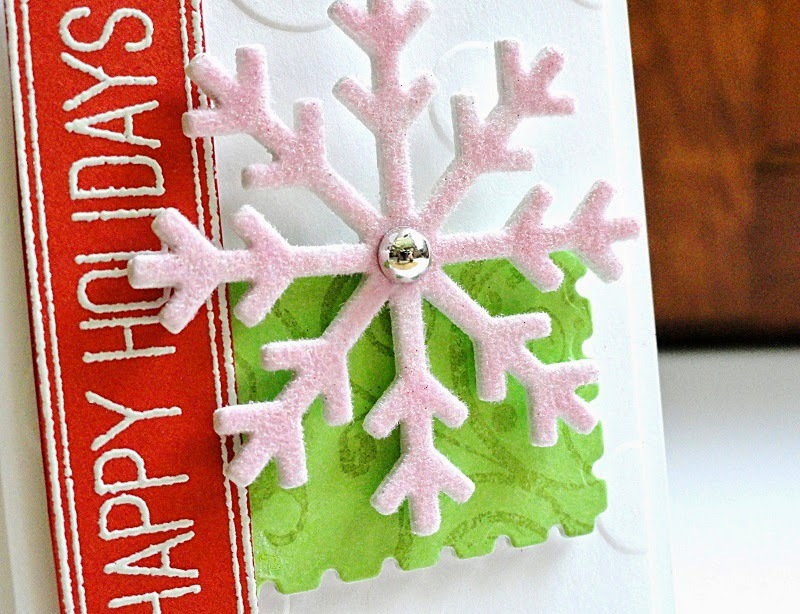 A metallic accent was added to the snowflake to create a central visual point. This small embellishment draws the eye to a "starting" point for viewing and then allows the eye to radiate out and view the other components of the card. Since this card has many textures and elevations, a subtle embossed design was added to the background to "ground" the elevated elements. 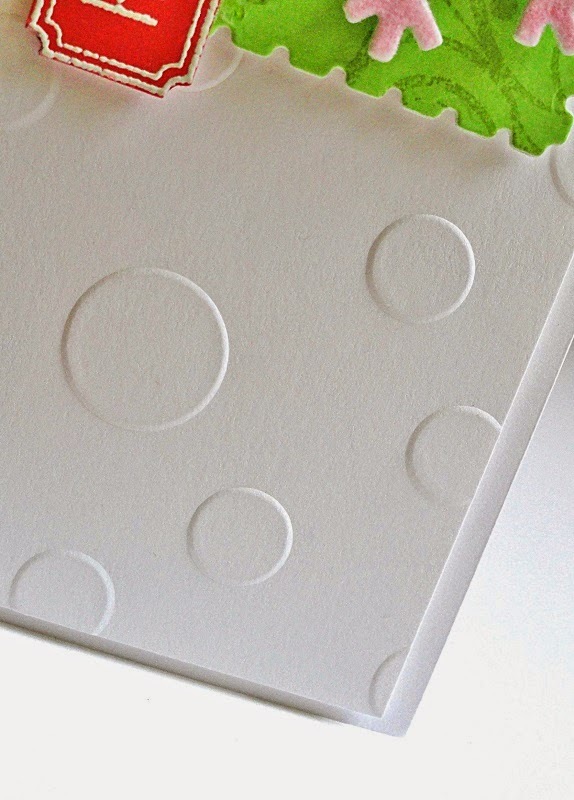 In this design, Penny Black's Dotlets Stencil was used with a light box and stylus for the dry embossing texture. 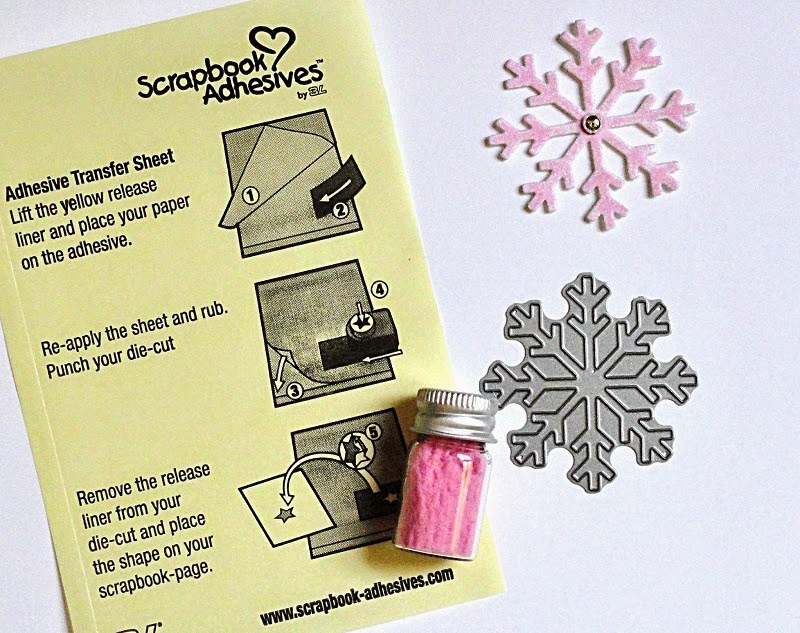 For detailed instructions and a complete supply list for this project, click HERE. Thanks for joining the fun at STUDIO SESSIONS as we "paired" up our Penny Black designs. Jill and I are putting the finishing touches on our next designs and have lots more STUDIO fun to come! If you would to like have our posts delivered directly to your inbox, just sign up for our Newsletter located on the side bar.